Having a set of scales precise to the pro standard of 0.01g is made even better when they come with a titanium weighing plate. 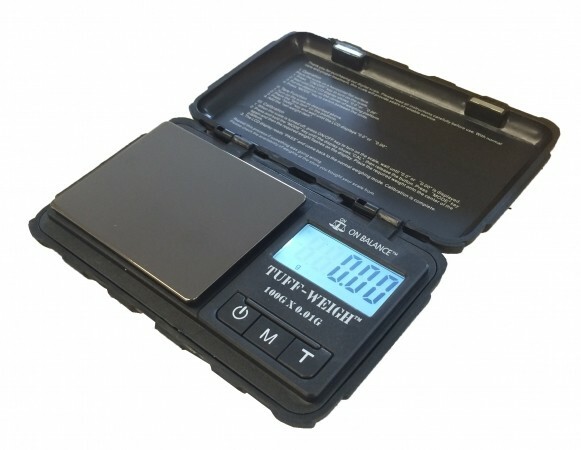 Quality through and through, the Tuff Weigh Digital Scales Special Edition is a feat of manufacturing and includes an impact resistant case, detachable lid/try and rubber grips. Safe, precise and they look great. Up to 1000g.